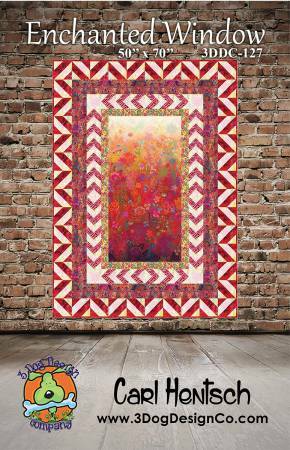 A glorious flower-garden panel glows through an elaborate window frame in this striking quilt. Multiple borders composed of simple strips that alternate with borders made of two different pieced blocks make the perfect frame. Imagine this beauty as the focal point in the foyer or perhaps the living room. It won’t take long to make, since the large panel requires no piecing. Perfect for any 24in panel.